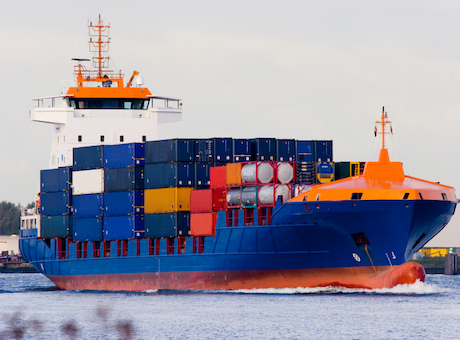 On behalf of the Royal Belgian Shipowners Association (RBSA), UCL-Energy Shipping Group looked into the drivers of the indicator by carrying out a series of analyses on a set of owner-reported data. This was similar to the data that will be used to comply with the future legislation at IMO and EU MRV. As well as calculating the carbon emissions and values of Energy Efficiency Operational Indicator (EEOI) for ships in the RBSA’s owner’s fleets, the study decomposed the EEOI into sub-indices (technical and logistics factors) and in terms of the contribution of the laden, ballast and port segments to EEOI for 94 ships in the bulk carrier, chemical tanker, container, liquefied petroleum gas and oil tanker sectors over the period 2008-2014. This period saw a variation in market factors such as fuel prices and freight rates, which have influenced the way the ships were operated and has cascaded into changes in the EEOI over time. The EEOI, developed by the IMO, is the total carbon emissions in a given time period per unit of revenue tonne-miles. Variations in the index are mainly caused by three factors: the technical efficiency of the ship, the amount of cargo transported per unit of time, and variations in speed. However, as the EEOI is an aggregate number, it is difficult to identify the influence of these factors. The study found that there is a correlation between the Energy Efficiency Design Index (EEDI) and the EEOI across different ship sizes, but there is a wide dispersion of EEOI values within a ship size class. This can be explained by the variation in logistic factors with little evidence of correlation between the EEOI and any one of the logistic factors. Another key finding was the significant differences in the laden EEOI (fuel consumption in ballast voyages and port excluded) when a ship was operated on the spot market compared to time charter, resulting in a higher laden EEOI for ships on time charter. Perhaps the most important finding, of relevance to the upcoming intersessional working group at IMO, was that for each of the different ship types and sizes, the alternative operational energy efficiency indices (currently being discussed at the IMO) show varying levels of trends agreement or disagreement. It is often the case that the three alternative indicators produced different trends to the EEOI. This shows that no alternative energy efficiency metric is a reliable proxy to EEOI and the choice of energy efficiency metric is a function of what information is believed to be of greatest importance. The EEOI is the only indicator that represents the carbon intensity of the actual transport work done (when measured in t.nm’s), all other indicators approximate transport work done in some way and due to the nature of the approximation can produce contradicting trends to the EEOI.